Technology is rapidly changing the ways we live, work, and how we get around Portland. But the direction of that change isn’t inevitable – we have an active role to play in determining how technology is used and how data is collected and shared in our city. 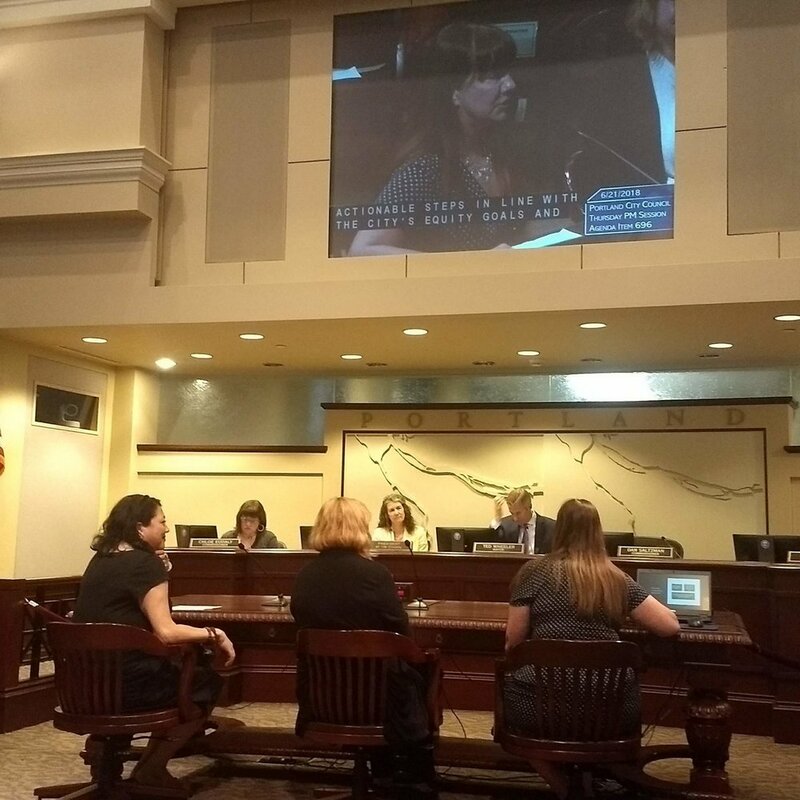 When Portland City Council adopted the Priorities Framework on June 21, 2018, we became the first city to formally declare what it means to prioritize the most marginalized and vulnerable in our Smart Cities work. It’s been a citywide, “silo-busting” conversation. The Priorities Framework is a product of the City’s internal Smart Cities Steering Committee, involving 14 different bureaus and all five Commissioners’ offices. Leading the Framework effort was the Bureau of Planning and Sustainability, Office for Community Technology, Office of Equity and Human Rights, Portland Bureau of Transportation, Bureau of Technology Services, and staff from Commissioner Amanda Fritz’s Office and the Mayor’s Office. The goal was to establish guiding, citywide values for our data and technology investments. The Framework prioritizes the people and the needs where our efforts as a united city government will have the greatest and most meaningful impact. Vet multiple (and often competing) opportunities. Integrate our values into decision-making processes. Provide a clear starting point for evaluation of Smart City PDX projects. Embedding the equity-focused criteria into the decision-making process from the very beginning will spur more innovative approaches to projects, policies, and plans, and result in increased community benefit. The Smart City PDX equity-focused criteria “are a very well-thought out lens” for evaluating our Smart City PDX investments “that could be broadly applicable to the City’s work” said Mayor Ted Wheeler at the June 21st City Council session. There is a long history of decisions in Portland and other cities that either intentionally or unintentionally negatively impact our most vulnerable populations. We want to learn from those mistakes, focusing not on those with the most influence and means first, but on those with the least. Adopting this framework kicks off a conversation with the community about the needs we should focus on and prioritize, and what technology and data tools we should use to solve them. The next step is to explore strategies to develop community partnerships and means to support community involvement in Smart City PDX. With an ultimate goal of making this work about people, not products. Visit the Smart City PDX website for more information about the Priorities Framework.